Throughout my career I have used qualitative research, storytelling, and the discovery of insights to support the narrative of brands I work with and, if I’m being completely honest, especially since the business intelligence data boom, I’ve felt myself at a disadvantage from not having a greater grasp of numbers. “But the numbers speak a thousand words!” they tell me. Well, if they do, I can’t seem to hear what they are saying. I see the numbers, but then when I go out in the field and I talk to people; what I hear and what I observe is a thousand times richer and more complex than what I hear from the numbers on an Excel spread sheet. What people like, what they feel – what moves them, goes beyond just the specific brand or category reflected in the numbers. Many marketing commentators refer to this as the migration from big to small data: focusing in on small yet crucial clues. For a while now, we have been seeing more and more things that are making us question the traditional methods of executing marketing and research strategies. We recently carried out some packaging validation sessions; over the course of many hours we heard some opinions in favor, some against… They would continually contradict themselves, they would over-rationalize every question… Yet when they finally saw the packaging, they loved it. They couldn’t coherently vocalize any rational explanation as to why – it was aesthetically pleasing to them and that was enough. There are numerous authors who confirm: we live in a culture that favors the polished, the easy to understand, the clear and transparent . Wouldn’t it be better to take that as a starting point from which to understand why certain products, packs or communications excite us over others, instead of maintaining ourselves in a state of confusion over the contradictory responses of a focus group? Workshops and conferences involving: Storytelling methodology, sentiment analysis, behavioral economics and branded content are getting more popular than ever before, and they hold one factor as a common focus – the emotive and the qualitative. They all involve a way of doing marketing that follows a less traditional path with a less rigid set of rules, one that has a greater affect on the audience. “If statistics favored the best emotional decisions, then accountants would be the authors of great love stories, and not poets” . 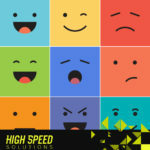 People within the world of marketing are starting to realize that quantitative results, or hard data without emotion, have to be complimented with ‘soft data’. If you remain unconvinced, and still love your statistics, how about this one: In a Kantar study directed at CMO’s and senior brand leaders, they found that 73% of those interviewed believe that their marketing department should act as cultural radars, connecting to whatever currently holds relevance with consumers . There are certain words or phrases within our industry which have been so overused that they have become completely hollow and devoid of meaning : Emotion, empathy, relevance, mobilize, connect. Even if the concept in and of itself no longer holds any novelty, its meaning still should, as they doesn’t occupy the space in day to day life that they should. Why not appeal to what people like, independently from just our brand? Why should a marketer or researcher not generate content on topics that he or she actually finds personally interesting? Why not create initiatives that we ourselves would like to take part in? The simple fact of having a personal connection with what we are creating, or that we at least be empathetic towards the consumer, naturally leads us on a path towards generating better ideas [5,6]. Things which become viral, making their way half way around the world and back, do not do so because they have some smart number behind them, or because they were derived from some focus group that a moderator drew a list of attributes from. They do so because they deeply stirred people’s emotions, because they made us feel something, because they were relatable, because they connected or reminded us of own lives. I’m not talking about dramatic and emotive publicity, with some wonderfully tragic Yann Tiersen piano piece playing in the background – forcing people’s tears out against their will; but rather about connecting with what people like, beyond the world of brands and products. We have been evaluating how we could do something similar to what Alfred Hitchcock does in his movies, in one of our next projects. In each of his films he would prepare two scripts – one blue and one green. In the blue script he would put everything you would expect to find in a normal Hollywood script: Dialogue, set design, props, camera angles, etc. In the green one however, he would include a scene-by-scene breakdown of how he wanted the audience to feel in each stage of the production. When you finish watching one of his films, you know simply that you loved it. You maybe can’t say why, but you know it made you feel something. That’s what we want to achieve when we build a brand story. Turning them into “data with a soul” that really matters. (1) Han, Byung-Chul (2015) La salvación de lo bello. Herder. (2) Lindstrom, M. (2016) Small Data. Las pequeñas pistas que revelan grandes tendencias. Paidós. Think about all the different situations where we try and predict the future. When we watch movies, for example, it’s almost a natural instinct to try and predict what will happen in future scenes. To do this we pick up on clues that we remember from our previous experiences. If the music sounds tense, we know a monster is likely to spring out and surprise us, if the music turns hopeful – then we know that things will begin to wind down towards their natural conclusion. The reference points within a script are always more or less the same: if a good-looking boy and pretty girl accidentally bump into one another in a rom-com, then we know that they will inevitably fall in love. Hollywood isn’t exactly overflowing with surprises. The problem in life is, that unlike Hollywood movies, there are no musical clues to hint as to what’s coming next. We just have to do our best with as much, or as little, information as we have available to us. It’s our ability to read and perceive the context we find ourselves in, which ultimately makes the difference. We humans are, by our very nature “predictologists”(or at least we try to be). Seeing as we can’t fly, we aren’t particularly strong, nor do we have lethal claws with which to swipe away at potential threats; we instinctively look for signals of incoming danger so that we may protect ourselves through the power of prevention. Nowadays, this human instinct has become commoditized: investigators, researchers and consultants are entrusted to find hidden clues, trends and indicators that can help their employers gain some kind of competitive advantage. You would think that in today’s era of information, predicting the future would be easier than ever before, however those of us that make a living from doing so, know that this is not the case. Yes, there is a startling amount of information available to us, but when we zoom in to take a closer look; we often find that a very small percentage of it is actually of use to us. A lot of the time the story the data tells can be contradictory leaving us more confused than when we started. In the world of big data it’s perhaps easier to get lost in the numbers than it is to find that little piece of information that can help us make confident predictions. This confusion by infoxication brings with it the added danger of making us believe we are better at predicting the future than we actually are. Just as the art of prediction is one of our species’ great defences against the dangers of the future, it is perhaps one our greatest weaknesses as well: We overestimate our ability to do so, we can be easily misled and occasionally we allow ourselves to be tricked by false clues. There are many examples which point to the fact that, as a society, we are becoming less and less efficient at doing so: Pearl Harbour, 9/11, the financial crash of 08 and Brexit are all examples of shocks that the experts failed to see coming (perhaps because they didn’t want to – ignorance is bliss?). Simple really. We are humans and as such we are fallible. Despite the fact that for centuries we have believed ourselves to be rational beings, beings that weigh up the pros and cons of each situation before making sensible decisions, the reality is that we are not. Countless studies have proved that our decision-making is based in the emotional, or in that which requires the least amount of immediate effort, or even, in that which we chose to hide from ourselves. When a possible outcome of a situation is unfamiliar to us, we tend not to even consider it. Instead we become almost blind to it, almost as if we have some kind of medical problem (which actually exists – it’s called Anosognosia), which impedes us from being able to perceive our own sickness. Add to this any form of accumulated institutional blindness; brought about by the stagnation from being in a particular industry or company for so long that we are not aware of the context outside, and we are left in a false reality. Economic, psychological, strategic or business models tend to be based upon a linear line of logic that doesn’t always fit with what we experience day-to-day. Unexpected variables reveal themselves along the way, complicating the initially straightforward landscape. The influence technology has had on the way we interact with people is undeniable. We used to be taught that our lives would follow an inevitable yet simple pattern: We are born, we grow, we reproduce, and then we die. Yet one of the most exciting things about being alive in this era is precisely the sense of excitement that accompanies unpredictability. We now believe that we are masters of our own destiny, that each of us is free to choose our own path through life, that there is no predetermined plan we must follow; that the fate of our future is in our own hands. Carrying on from the initial thought where we highlighted the natural urge to predict the fate of a Hollywood film character, let us imagine that our lives are a kind of series, one with various unexpected plot twists along the way. We believe things will pan out a certain way by following the clues we have been trained to pick up on over the years, then suddenly Game of Thrones, Black Mirror or Lost comes along, and we realise that the experience of the unexpected is a far richer and more enjoyable one. Today life is more like one of these series’ than that of a traditional and predictable Blockbuster. Does this mean we should give up on trying to predict the future? On the contrary, we must continue to do as we have always done; we just have to be smarter about how we do it. To handle the unpredictability of the world and be able to operate successfully in the future today we have two great tools at our disposal: Foresight and change management. A common misconception is to confuse foresight with some kind of magical, crystal ball-style, prophecy device. However, when used correctly, it is quite the opposite. It is actually a rather scientific process, with a structured methodology, that can help us build realistic future scenarios, even if no forecasting model that depends on humans is ever going to be 100% accurate. With foresight we aim to predict possible future outcomes for a particular organization, industry or even a country. Its intention is to remove uncertainty and to evaluate the decisions we take in the present with where we wish to reach in the future. Even if the future cannot be known with absolute certainty, there will always be different possible outcomes to any situation that will depend on the decisions taken in the present. When we look to the past, we do so to understand: What worked, what we could have done better and what possible patterns or clues we can pick up on that could repeat themselves in the future (even if the exact situation we are facing doesn’t have an exact replica in the past). We must then turn to the present to search for variables that may be in play today that perhaps didn’t feature in previous situations. Once we have assimilated what once was with what currently is, we can then look to project onto what could potentially be: Imagining what is possible, evaluating what is probable and most importantly, deciding on what it is that we would prefer. If mapping out what we believe to be probable is important, then it is also of equal importance to compliment this with an idea of what it is that we wish to occur. This is called envisioning: to make a visualisation of the future so strong in our minds that it acts as a magnet helping to draw us towards it. A major component of someone’s self-awareness lies in how they perceive their own future and potential, in what they want become and in what they fear they may become. I know this sounds like some sort of tongue twister that the Oracle may have given Neo in the Matrix, but it’s not as ludicrous as it sounds. There are things we know we know (like general knowledge), there are things we know we don’t know (like our ability to breathe without having to think about doing it) and then there are things we don’t even know that we don’t know – and it’s precisely these things that are crucial to consider when we look to have successfully foresight. What we sometimes call the unknown unknowns are elements which we never even contemplated could exist, the things we never thought to ask ourselves. We don’t ask ourselves these questions because we have some kind of mental block that obscures them from our sight. The challenge is to ask ourselves the kind of intelligent, creative and strategic questions that can help to bring them out of hiding. As we have discussed, linear models can help us to conceptualise certain scenarios; yet they don’t always stand up to the scrutiny of the real world. Recognising how unpredictable the real world can be, our best approach is to adopt an almost beta mentality, one which holds flexibility at the heart of its actions. This is the very essence of change management. Every day we hear more and more about it but what we must remember about it, is simple: It is not so much about shaping the change of the collective organizational structure but rather, it’s about shaping the behaviour of the individuals within it. For this to work, you need those at the top of the pyramid to take clear decisions and to be prepared to communicate them effectively down the chain of command; committing the people involved by making them part of the decision making process. And if all this fails? Unlike our initial analogy where, if a film doesn’t turn out as expected we are pleasantly surprised, if our projections for our company don’t turn out as planned, then the surprise tends not to be so pleasant. The philosophy of change management allows us to swiftly react to change by making tweaks to our business strategy before it’s too late. Initially this is done through the process of trial and error and then over time, through the training of our capacity to react to change. The organizations that survive will be those that manage to redefine their ability to maintain flexible and fluid in the face of unpredictability. Considering all of this, market researches are urged to rethink their role. They need to migrate from a mindset of being “narrators of findings” to one in which they dare to predict. In this way, they can better accompany different organizations to navigate the volatile scenarios in which we all currently find ourselves. Oh! The famous marketing plan. That moment where you sit down with the whole team to talk about what’s going happen over the next 12 months and where expectations are everything. But, how can you manage those expectations in such a volatile market spurred on by our ever-changing world? One thing companies are doing more and more, is migrating from a traditional business model based around rigid strategic planning, towards a more modern and forward thinking model of future scenarios forecasting. This is basically an anticipation technique where we imagine how the future could be and how we would act according to this projection. [1,2]. It can be a really inspiring and genuinely useful exercise, but the task can seem quite daunting when you have a blank piece of paper in front of you and you can’t help asking yourself: “How optimistic or pessimistic should the scenarios be? What is more useful? To think positively and attract good things or to think that things will only get worse in order to make sure your well equipped to deal with future catastrophe. It’s important to note that the world of optimism vs. pessimism is littered with contradictions. Humans tend to be optimistic about their own personal futures, yet pessimistic when they consider the future of the collective , for example, we believe that unemployment will rise, but that we will keep our jobs. Or that, even though there may be numerous indicators pointing to reductions in crime rates and fatal diseases, higher rates of participation in education; we still believe that the world is becoming worse and worse off by the day. Yet at the same time, we believe our marriages will last even when the statistics suggest otherwise, or that giving up smoking will be easier for us than it is for everyone else. This is down to two main factors: firstly, we have more control over our own individual circumstances than we do over the collectives’, and secondly, the nature of what is considered newsworthy naturally puts a sensationalist and negative spin on what actually happens in the world, which can leave us with a distorted and pessimistic outlook. Whilst optimistic thought is centered on the belief that we can positively affect the future through the power of thought, pessimism assumes that we cannot and that everything that is on the horizon will only serve to make things worse. The criticism often leveled against the eternal optimist is that, since their ideas are not grounded in reality, their plans tend to go to waste; with their intentions left to float around aimlessly in a mystical ether named “It’s never gona happen”. The real problem is not the optimist though, rather the uninformed or unrealistic optimist. The fact remains, if you paint a positive picture in your head about a future task, you stand a better chance to succeed. For example, if you want to lose weight and commit to diet with the feeling that it will yield results, you have a far greater chance of succeeding than if you over-think the issue, scrutinizing over every little complication that may present itself along the way . There is also a school of thought, which states that an optimist outlook on life can actually be more realistic than a pessimistic one. Research carried out on entrepreneur’s reveals that, whilst they tend to overestimate their own success, they are also typically more clued into economic indicators. This means that their predictions tend to be more realistic than those made by their more pessimistic, non-entrepreneurial counterparts . This serves as a gentle reminder that being optimistic doesn’t necessarily mean that you a wrong or not realistic. There are instances however, where being pessimistic can turn out to be a more considered and appropriate approach. If we consider moments of tension through-out politics and history, or in sequences of events that have led to wars; these are instances where there can be no benefit from viewing the world through rose tinted spectacles – if the reality of a situation is a grim one, then it’s better to see it for what it is and accept it . Or, have you noticed how many dystopian and post-apocalyptic titles dominate the best selling bookstore and box-office charts? According to the book “Read the Mind” the purpose of titles like the Hunger Games or Interstellar, isn’t just to entertain, but also to make audiences aware of potential situations that could become relevant to them in the future . The book, which is based on a diverse range of studies , claims that fiction acts as a kind of evolutionary mechanism of the subconscious, one that helps us to imagine ourselves in possible future scenarios so that we may be better prepared for the future. If we read a shipwreck story, then it prepares us for the improbable scenario where we have to learn how to fish, make a fire or erect a makeshift shelter. In uncertain times, reading a dystopian novel is arguably more useful than reading a Utopian one. So, going back to our original question as to which approach is best for designing useful scenarios for our business? The simple answer is, an optimistic one. Despite how useful imagining ourselves in a dystopian scenario may be in case of future disaster, an optimistic outlook has the power to drive you towards a desirable outcome. Mapping out a positive tomorrow has the power to energize your team, whilst a negative one can have the opposite effect, serving only to paralyze them. Effective optimism isn’t simply filling out your marketing plan with over-estimations, happy faces and painting the picture of tomorrow as overly rosy. It’s about preparing ourselves to take decisions based upon our own beliefs and feelings. It’s about being well-equipped enough to have the resources to tackle a problem when it arises, as opposed to resigning to defeat and allowing it to defeat us. Our suggestion? Fill the room with as many realistic optimists as critics who will question your plan, and the strategic scenario you build together will turn out to be the best it can be for your business. 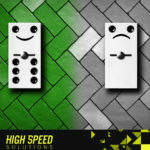 Content by High Speed Solutions. 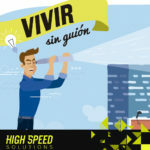 High Speed Solutions is the Strategic Consulting area of De la Riva group. (9) Volpi, Jorge (2011) Leer la mente: el cerebro y el arte de la ficción. Alfaguara.